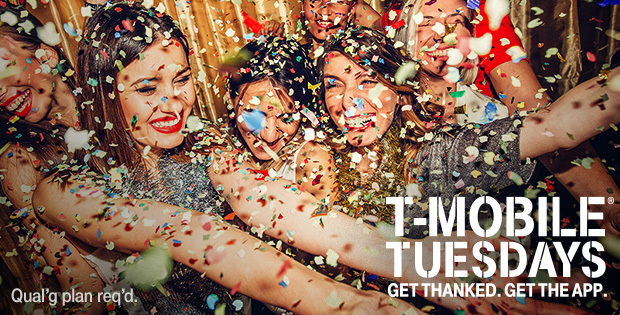 After giving you a discount to see a movie at the theater this week, T-Mobile Tuesdays will give you a deal on a movie to watch a home next week. On Tuesday, January 22, T-Mobile customers can get a free one-night disc rental from Redbox. They can get a discount on dinner to go with that movie, too, because T-Mobile Tuesdays will offer a $3 quarter chicken meal from Boston Market. Rounding out next week’s gifts is 30-50 percent off at Quiksilver along with free shipping. Still like the Redbox deals, but not that many good movies to watch anymore. I prefer having Vudu and Redbox alternating credits. I think they were billed as something like “Your choice of a free 1-night DVD, Bluray or game rental (up to a $3.00 value).” I had a couple DVDs in my cart when I checked out and Redbox awarded me the full $3 value. I only had to pay like 11 cents. But the last 2 (maybe 3) times we’ve gotten Redbox codes… They caught on and now I’m only getting the $1.75 for the single one night disc rental. It has been a while, hasn’t it? The last time I was able to find a VUDU rental gift was back in July. I wonder if you can use to code to credit the card, then watch on your time. Redbox is fine, weather permitting up the the northeast. Shell should be the following week then.